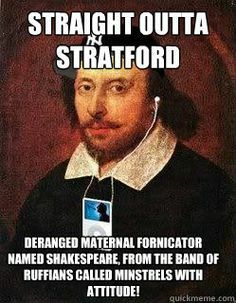 This entry was posted in Six Word Stories and tagged Birthdays, Daily Prompt, Drama, Ed Paschke, England, Shakespeare, Six Word Stories, Stratford, William Shakespeare. All hail the Neon Bard ! If Facebook were around in Shakespeare’s day, he’d be accused of creating too much drama on there. 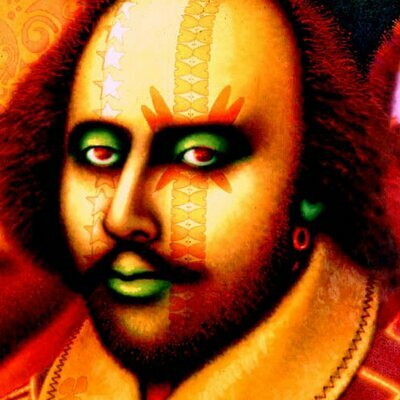 Zuckerberg would have never allowed Othello… Macbeth… Merchant of Venice. Yeesh! Love that image of Shakespeare and your words certainly sum up the bard!